Buttery, crumbly, melt-in-your-mouth shortbread. I've started making double batches of these addictive cookies since we find ourselves reaching for another...and then another. 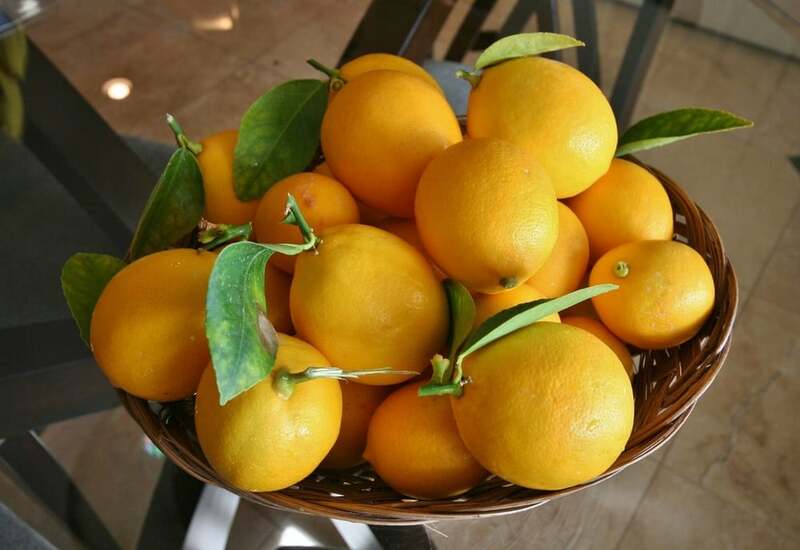 My Meyer lemon tree produces an abundant crop October through January and these treats are the perfect vehicle for the tender, fragrant zest. Lemon thyme from the garden provides a lovely herbal counterpoint. 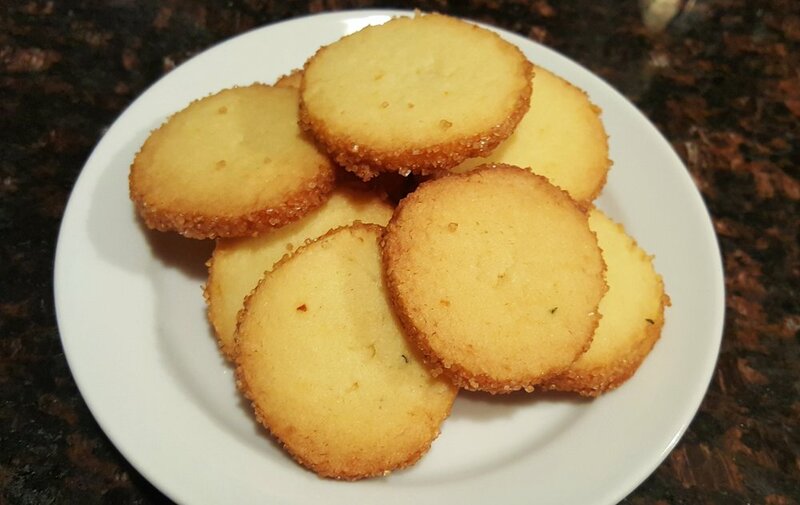 The basis for this is Dorie Greenspan's technique for shortbread from Baking From My Home To Yours (my favorite baking book!) with my tweaks. The recipe is pretty simple, especially with a Kitchenaid mixer, but remember to allow time for chilling the dough before baking. Rub half the zest with your fingers into the sugar in a small bowl and set aside. With the paddle attachment (or using a hand mixer), beat the butter at medium speed until it is smooth and creamy. Add both sugars and salt and continue to beat one minute more. You don't want to beat air into it to make it fluffy, but want it nice and creamy. Reduce to low and beat in the egg yolks until blended. Add flour, thyme, and the remainder of the zest and briefly pulse your mixer about 5 times at low speed (drape with a towel to prevent the flour from escaping the mixer). If you still see flour on the surface of the dough, pulse a couple of more times. You want to mix just enough to incorporate the flour into the dough. It should be a uniform, clumpy, soft dough. Scrape it out onto a floured surface, pat it into a ball, and divide in half. Gently flatten each piece into a oblong shape about an inch thick and chill for at least 2 hours. You can also freeze for a later time. Preheat oven to 350 degrees when ready to bake and line a baking sheet with parchment paper or a silicone mat. Remove dough from the refrigerator about 7-10 minutes before rolling, just so the dough softens enough to be slightly pliable. Roll out to 1/4-inch thick and cut out shapes with a biscuit or cookie cutter. Place one inch apart on the prepared sheet and bake for about 15-17 minutes, rotating halfway through. They should be pale on top and golden brown around the edges. Note: In my convection oven at 350 degrees, they are done at 11-12 minutes. Cool cookies for 1-2 minutes before transferring with a spatula to a cooling rack. Butter with a higher butterfat percentage (which also means less water) = better cookies. I often use Plugra, but for this batch used Tillamook. I like to grate the zest over the bowl of sugar to capture the spray of the citrus oils. Remember to allow time for the egg yolks and butter to come to room temperature. If the cookies soften too much after cutting, put them on the prepared pan and chill for 5 minutes before going into the oven. You want them to be cold when they go in the oven or they can spread. Please comment below or share on Twitter/Instagram with tag of @WriteOnRubee if you make them - would love to see yours!